We are kind of being buried by an avalanche of letters here. Climbing across acronyms and peering through words, condensed into letters, that somehow take on a whole ‘nother life in their meanings and connotations. Though we are learning our letters, on that level, with multiple kiddos….and that is a lovely thing. We are learning all new letter sets, and these letter combos have, or take on, a life of their own. In some ways, and some instances, these letter sets and acronyms are very helpful, insightful even. And in some ways, they redirect in the wrong way. They are purported as helpful but in fact they direct your attention away from what is important and off to that ever so enticing realm of speculation and worry and discrimination and stigma. I know, this is so vague. In a way it has to be, due to all that discrimination and misinformation and stigma. But it just sets me afire to think about all that and any of it lobbed at my kids. So I get a little protective (and then get all bent out of shape that I even HAVE to be). Because really, these are NOT in ANY WAY qualitative words and letter sets. They may well be descriptive, especially if you take the time to look at the objective definitions of the terms. But then again, they sometimes are a catch all…and are not all that precise after all. I know, at this point you’re thinking, “Just what the heck are you talking about?” But then again, I suspect some of you might be nodding your heads, you know exactly what I’m talking about because you are living it too. You know some of these fun combos: ADD ADHD BP SPED LD DSLX ODD MR ID CD SZD ED IEP IQ MDD ESL ELL …buried yet? Blinded by the letters? Maybe you want to shout out loud sometimes too? Maybe you want to know that you’re not scrambling across all these letters, through these rocky hills, alone. Because if I just keep this all tight, close in, then I go into the indigo blues and I feel like a big faker of a mom in the know. And yes, that does make it all about me, and that’s wrong on so many levels. But it’s right on the one level that I know: this forum. I think I can trust this blog and the folks I know who see it. This blog has connected me with amazing wonderful folks, moms, people. And I think it can again. . People who can let me know that they know some of those letters, with their child. And they have been there, done that. 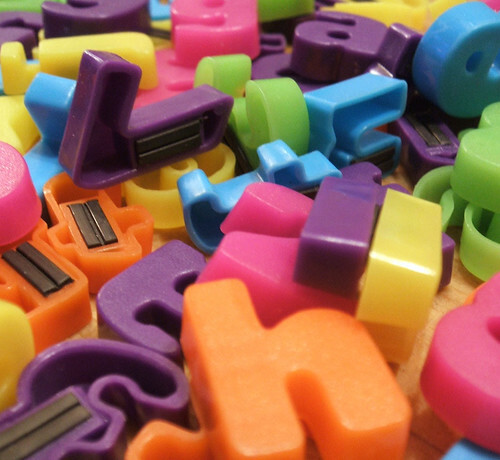 I have been there, done that, with many many of those letter sets. But there are new ones too. And those are the ones that it would be nice to compare notes about, maybe. We moms, we tend to unite, to get behind and give a tug or a shove or a nudge when needed. We brainstorm and compare ideas on what worked and what didn’t. And as I’ve gone through the many years of raising kids, that assistance has been invaluable (if a little late, ahem, Jean). So, as I am once again wandering a new road – left turn – I know better now. I know to reach out and shout to see if anyone else is here. And I always read that you shouldn’t cross the mountains alone, take a buddy. And these acronym mountains, how to cross through them as a parent, with school and life in general? I think I need a sherpa. This entry was posted in education, family life, special needs by coffeemom. Bookmark the permalink. >I almost feel shy about posting here. I've learned so much from this blog I don't feel like I have *any* room to give advice. So this is not advice, it's just encouragement.My kids aren't school age yet and my adopted daughter isn't even mine yet, but I use to work in a residential facility for kids between 5-12. Those kids has a LOT of letters behind their names and so I'm familiar with many of the ones you listed.What I wanted to say is that while the kids I worked with had all those letters assigned to them they were floundering big time (or they wouldn't have ended up with us), so they had the letters, but what 99.9% of them did not have was a parent/s who were behind them every step of the way. They didn't have a cheering squad, they didn't have anyone to hold them respectfully responsible, they didn't have arms that they could scream or cry in. All they had was letters.Your kids don't just have letters behind them, they have you. And you don't strike me as a woman who stops to let her kids walk alone.It may be hard, but I think your kids will make it to the other side, I think you'll make it there. You'll make it there together, you'll make it there because of each other.Have peace. >I just read what Jamey wrote. So, not only is what you wrote great. Can I ditto what she wrote? You are a great mom and your kids will be the better for know and having you in their lives. >Only a couple of things, but they saved my sanity (and none of my kids had to strangle me in my sleep)1. Make everything as concrete as possible. Letters made the Montessori way, and in clay and as 3-D as you can, math learned with stuff instead of symbols on a page, etc.2. Children who pick up more sensitively than most people on emotions are actually incapable of taking in new information if there is any emotional intensity anywhere near them. and, 3. Never assume. The day I told my late reader that if he wanted to just read the words he already knew instead of sounding them out, that was okay. He looked at me like I'd just given him permission to punch people or steal stuff. He thought sounding out WAS the rule.oh.and, 4. Short lessons are magic. Set the timer so that the struggling student knows there is a finite amount of time for paying attention to this task. The skill of concentration will build once no task is an endless stretch of … well, of infinity. (Or use a nice, polite, silent little hourglass egg timer.) Short lessons – five minutes or even less at first. Pretty soon, the learner starts to say, "not yet! I'm almost done!" when the time's up. >I feel your frustrations with Letters and labels. SOmetimes they help – they allow you to get insurance coverage for therapies, they get your kids into programs. SOmetimes they hurt because the investigation ends when the label is applied. My son with ASD (autism) had some behaviors I was concerned about but because he was already labelled, all behaviors we attributed to the label. It turns out that he may have been having frequent partial seizures that were making him feel bizzare all this time. We only found out because we opted to schedule an appointment with a neurologist instead of a developmental pediatrician as we had always done before. Anyway, I agree with the other comments. CLearly your armor is on and your kids will climb. I know it is not that simple and the process is like nothing I could have imagined before I had children but they WILL progress. >You are not alone. I have spent most of my adult life working with kids that had more letters added to their files then I could keep up with…and sometimes those letter representations gave uniqueness and beauty to those amazing kids. We all have letters that we would rather not have…but they are what they are. We are all so incredibly unique and gifted and challenged. What a warrior you are for walking with your kids through the hard times and the good times! >I have a son who is ADHD. Not just a little… he is ADHD in great big capital letters with underlining. He has an IQ in the 99th %ile, but he struggled in school starting with about 7th grade… about the time teachers start expecting independence and responsibility. I used to say his closet was a metaphor for his lifestyle… if you don't know what to do with it, throw it in the closet and close the door. His closet was over knee-high with junk. Anyway… the letters stink. But they are there. My advice is just remember that this is YOUR child, not the school systems or anyone else's. You are the best advocate for your child. Know the federal and state regulations and don't be afraid to quote them or bring them in for the school to review. Sometimes they need a refresher. 🙂 Some teachers will be wonderful and compassionate advocates for your child, and some will ignore the IEP they signed off on because they "don't have time" to work a special routine for your kid. I have told my son before that I didn't care what grade he got in a class with a teacher like that. It's hard and I think the staff at his middle school and high school disliked me intensely. But he knew I was always there. Don't accept excuses from your child. I always told my son "We love you, so we are willing to accomodate you, but the rest of the world doesn't care. You just have to work a little harder." He knew blaming ADHD for any of his problems wasn't going to get him any slack at home.He is 21 years old and in college now. The first year of college went terrible because he didn't apply himself at all. He got behind and got overwhelmed. Back to the closet metaphor. He had to sit out a year and earn the money for his second year. He is doing better now and getting acceptable grades while maintaining a job. He still struggles, but I think he's going to find his way.